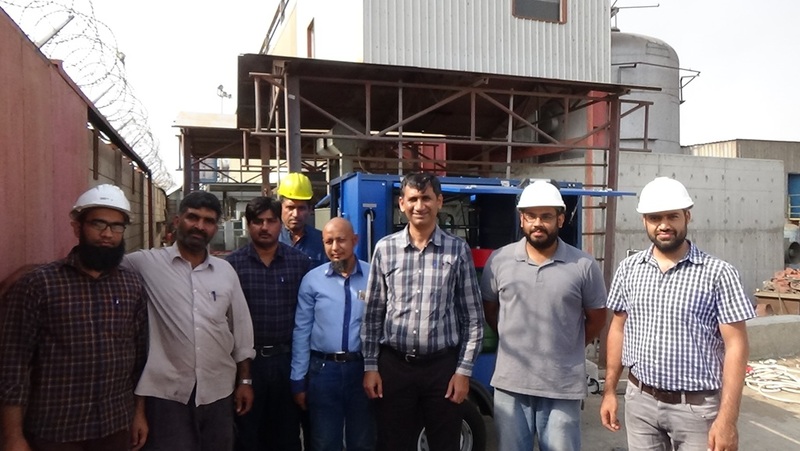 April 23 – 27, GlobeCore technical team visited Jeddah (Saudi Arabia). The purpose of this trip was commissioning of a CMM-0,6 oil purification unit. This equipment cleans insulating oil from mechanical impurities, water and gases. The unit’s components are assembled in a closed container and mounted on a single-axle trailer. The container has flap doors on the sides, and a hinged door at the back. They are all designed to simplify access and ventilation. In the upper front of the container there is a storage compartment for accessories and inventory. A distinguishing feature of this unit is an additional equipment – a TSS system that safely connects an oil cleaning unit to an energized transformer.